Wrapping items and merchandise in protective film is a standard operation for most businesses because it keeps them safe, secure, and protected from outside elements. This is especially true when items need to be shipped and you have to ensure that the product will reach the customer in its original, new condition. Shrink wrap and shrink wrapping systems are a good investment for any business or company because they’ll speed up the process of packaging items as well as provide a professional look and durable seal. 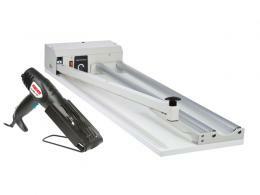 The Workplace Depot has wrapping systems for both small and large jobs. The 400mm Shrinkwrap System is great for small runs. 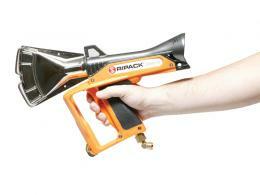 It has a heat sealer, an unrolling device, and a 2-speed hot hair blower with a spreader nozzle. Meanwhile, the Bell Chamber Shrink Machine is good for larger volumes of shrink wrapping, as it can seal 200-300 units/hour. 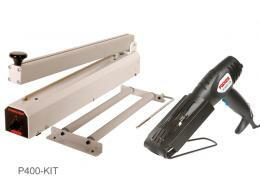 The Pallet Shrink Gun Kit is a reliable and convenient method for shrinking wrapped pallets, common in larger industries. It comes with safety glasses and goggles and is good for wide applications. 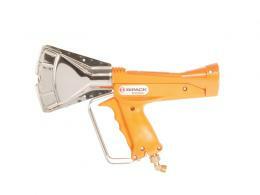 The Ripack Pallet Shrink System is a gun that has a high output. All of the necessary accessories come in its carry case, which can double as footboard to give you extra elevation. 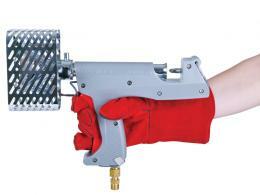 To make your shrink gun more mobile, we additionally have gas cylinder trolleys that include a gun holster. 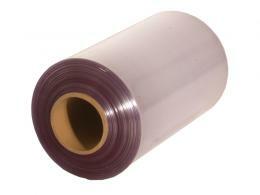 The Workplace Depot also carries Centre Folded Shrinkwrap Film in different widths for all of your applications. We also sell Strap Pallet Bands for stabilising pallets. We offer free delivery within up to 7 days on all of our packaging supplies. We also offer one year warranties, including parts/labour, for all of these supplies.